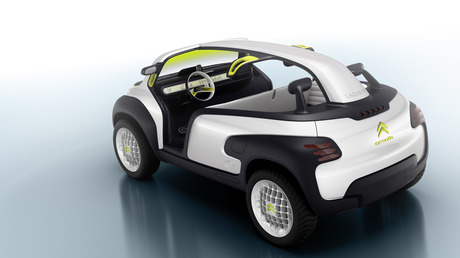 Fashion brand Lacoste – known for minimalist preppy sports-inspired fashion and their alligator logo – have collaborated with Citroen to make a car. It’s a real fashion buggy. 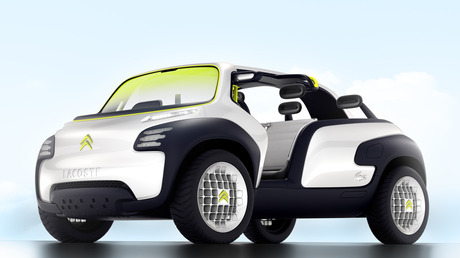 What with it being a concept car, it doesn’t actually exist as a commercial product, but if it did, I fear it would be out of my price range, given that even t-shirts by Lacoste cost a few too many ££s for me. Still it’s nice to look at. “the car is finished in a range of attractive colours and materials from pearly white and textured blue bodywork to vibrant yellow touches and honeycomb structure wheel hubs. It’s short, rounded bonnet and curvy, sculpted rear cuts a distinctive profile.” Scuplted rear indeed. It will be unveiled at the 2010 Paris Motor Show.